Montreal – Today Ubisoft® announced Red Steel®2, exclusively on Wii™ system from Nintendo. 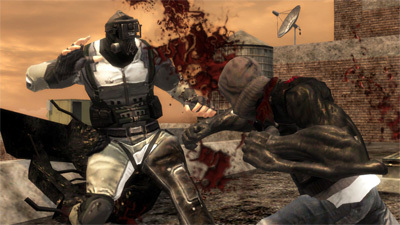 Red Steel remains one of the most successful Wii titles and the only brand created specifically for the launch of the platform. Montreal – Bethesda Softworks®, a ZeniMax® Media company, announced today that it will publish WET™, an innovative action game from Artificial Mind and Movement (A2M). 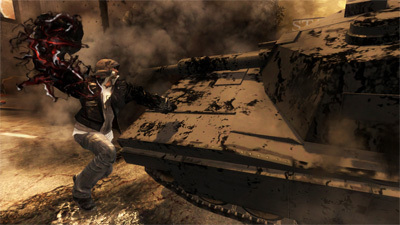 WET, in development for the Xbox 360®video game and entertainment system from Microsoft and PLAYSTATION®3 computer entertainment system, is slated for a Fall 2009 release. WET is a highly stylized third-person shooter that seamlessly blends acrobatics, gun play, and sword kills. With dual pistols and a samurai sword, you can engage in combat while sliding on floors, running on walls, jumping, flipping, and performing amazing acrobatic moves – leaving a massive body count in your wake. Toronto – The Adventure Company has released a trailer for Sherlock Holmes vs. Jack the Ripper, a Windows® adventure title releasing in North America on May 12, 2009. Click here to view the trailer. Sherlock Holmes, one of the world’s best known detectives is matched up with the most dangerous serial killer in England’s history, Jack the Ripper. The Year is 1888, London has been overtaken by a series of gruesome murders and police are left baffled, with no leads. The murders continue and Sherlock Holmes steps up to the case, setting out on a terrifying adventure to seek out the identity of Jack the Ripper. Burnaby – Electronic Arts Inc. today announced that EA SPORTS™ Complex launched on PlayStation®Home for the PLAYSTATION®3 computer entertainment system, the 3D social gaming community that allows users to interact, communicate and share gaming experiences online. 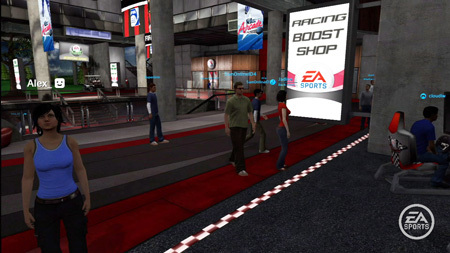 This newly created EA SPORTS space offers users a place to play a variety of unique, casual multiplayer games with friends in PlayStation Home, as well as view exclusive game trailers and videos, to learn more about their favorite EA SPORTS games. At launch, EA SPORTS Complex will feature a tournament-style Texas Hold ‘Em Poker game and EA SPORTS Racing featuring formula-style cars. Montreal – Electronic Arts Inc. today announced that its highly anticipated action adventure game Dante’s Inferno™ will be coming to the PSP® (Sony PlayStation® Portable). 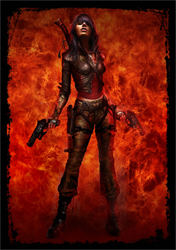 Based on part one of Dante Alighieri’s classic, “The Divine Comedy,” EA’s Dante’s Inferno will also take players on an epic adventure through Dante’s famously mapped nine circles of hell. Dante’s Inferno will be available simultaneously for the PSP, the PLAYSTATION®3 computer entertainment system and the Xbox 360® videogame and entertainment system next year. Dante’s Inferno for the PSP is being developed by EA’s award-winning EA Redwood Shores studio and Montreal’s Artificial Mind and Movement (A2M). Burnaby – EA SPORTS™, a label of Electronic Arts Inc., today announced that the Wii™ version of EA SPORTS Grand Slam® Tennis will be bundled with Nintendo’s new Wii MotionPlus™ accessory for its European launch. Tiger Woods PGA TOUR® 10 will also be bundled with MotionPlus™ when that title launches in both North America and Europe. Vancouver – Radical Entertainment and Activision Publishing, Inc. have confirmed that the long-awaited open-world action thriller video game PROTOTYPE will ship in European territories on June 5 and to North American retailers on June 9, arriving in stores shortly thereafter. Fans of the infamous Alex Mercer should also be sure to check out the newly updated official game web site to gain access and view newly added game information and content, including the first half of PROTOTYPE’s must-see intro cinematic. PROTOTYPE lets gamers feel the power of being the ultimate shape-shifting weapon. You are the PROTOTYPE: Alex Mercer – a genetically mutated man without memory, armed with amazing shape-shifting abilities, hunting to discover what created you and determined to make those responsible pay. As Alex, gamers tear through a densely populated contemporary New York City moving with Parkour-style fluidity, consuming anybody that gets in their way… assuming their physical form, memories and abilities. Fueled by a three-way war between Alex, the Blackwatch (military) and a viral outbreak known as the Infected, players venture into a deep, dark conspiracy 40 years in the making! 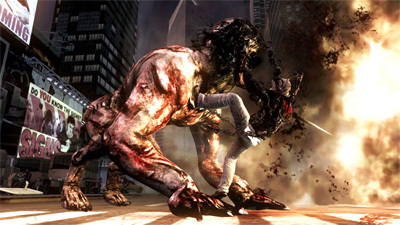 PROTOTYPE is currently rated “RP” (Rating Pending) by the ESRB with an expected “M” rating (Mature – Content that may be suitable for persons 17 and older) and will be available for the Xbox 360® video game and entertainment system from Microsoft, Games for Windows® and PLAYSTATION®3 computer entertainment system. Montreal – Today Ubisoft announced that Ubisoft Montréal is developing Assassin’s Creed II on all current-generation platforms for a scheduled Holiday 2009 launch. 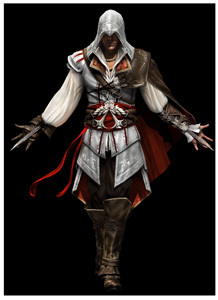 The initial installment of Assassin’s Creed® was released in November 2007 to popular and critical success, selling 8 million copies worldwide, and garnering awards such as Best Action Game 2007 from 1UP and Outstanding Achievement in Animation from the AIAS. Toronto – The first trailer for the upcoming ten-episode web series, Ten Sundays, was released today on the series’ official website. Available in both standard and high definition, the trailer, which runs one minute and 11 seconds, previews the story of two roommates living in a basement apartment in Toronto, Canada. The series, directed by Pavan Moondi, was initially conceived as a companion piece to help pitch Everyday Is Like A Sunday, a television concept the Toronto-based writer-director is actively marketing. “It started out as a short promotional piece to help pitch Everyday Is Like A Sunday, but as we developed the web series, it became its own animal in many ways. Ultimately, it’s something that can stand alone, and we’re very proud of,” said Mr. Moondi, who also co-wrote and edited the series.